GOES-17 was launched on March 1, 2018. Named GOES-S until reaching geostationary orbit (22.361 miles), GOES-17 is the second of four satellites in the GOES-R series of Geostationary Operational Environmental Satellites (GOES). 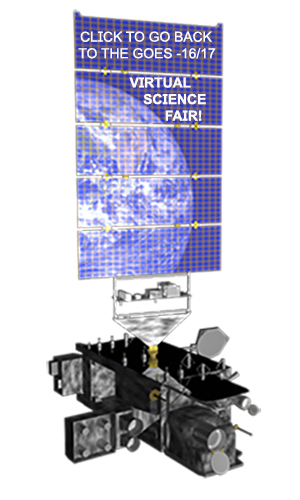 The primary Earth-observing instruments on GOES-17 are the Advanced Baseline Imager (ABI) and the Geostationary Lightning Mapper (GLM). GOES-17 data is expected to become operational in early 2019. If your Virtual Science Fair project uses GOES-17 imagery prior to when NOAA deems the data operational you will need to include mention that the data is preliminary and non-operational.